Dana Bradley, PhD, is dean of the Erickson School at the University of Maryland, Baltimore County (UMBC). She leads existing and new projects and initiatives that position the school as a national model for promoting developmental, strength-based models of service and care for elders through its integrative curricula, research collaborations, thought leadership, and community engagement. 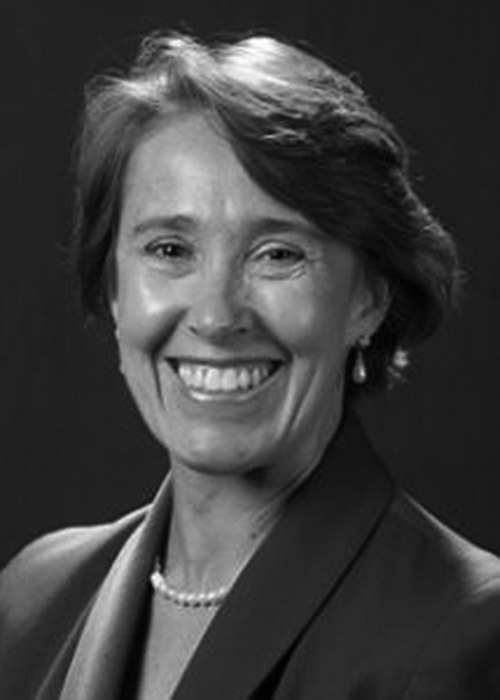 Dana joined UMBC from Western Kentucky University, where she was director of the Center for Gerontology since 2005. She also held several positions of increasing responsibility during her tenure with the university. She has extensive experience in gerontology and is widely known for her academic contributions, particularly in the area of education and policy studies. As director of the center, Dana was responsible for strategic initiatives related to education, research, and service, and has led several state policy projects aimed at enhancing opportunities and services for aging citizens and their families. She is a founding member of the Global Aging Research Network and was elected Fellow of the Gerontological Society of America and the Academy for Gerontology in Higher Education (AGHE). She has received many prestigious regional and national awards, including being named a Gordon Streib Academic Gerontologist awardee by the Southern Gerontological Society and recognized with the Distinguished Faculty Award by the AGHE for her exemplary teaching. Dana received her BA in biology and history from the University of Rochester and her MS and PhD in applied history and public policy from Carnegie-Mellon University.